Apostolic Titbits: Haven't You Yet Found The Perfect Church? 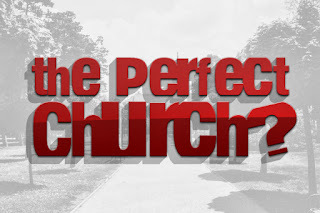 Haven't You Yet Found The Perfect Church? What do we learn? It is the grace, mercy and love of God that makes a person perfect, and every graceful, merciful and loving member of any church will make a imperfect church to become a more Perfect One than the other. It is not the Church that matters when we know it is we who matter the most in the Church for God to work within and without to reveal the perfect Church that people are looking for. Be the change that people are looking for...!